Did you know that one in four consumers (26%) own a smart-home product, and 98% of users are satisfied with their smart-home device? So, if almost everyone is satisfied, why haven’t smart-home products been more widely accepted? The primary hesitations for purchasing smart-home technology are price (42%), and data privacy and security (17%). However, the reason smart-home technology is becoming more popular is that we can now use it to better control our homes (12%), increase safety (10%), increase convenience (10%), and since it’s become more affordable some of us just want to try it out (10%). Even more promising is a majority of consumers (65%) say that they are excited about the future of smart technology as a part of their everyday life, and that’s more prevalent with Alexa and Ooma. If you’re interested in these two amazing pieces of technology, here’s an introduction on how you can use them together to sync your smart home. The first thing that you need to do is invite Alexa and Ooma into your home. This means picking up either an Amazon Echo or Echo Dot smart speaker. If you’re just starting out, the Echo Dot is a solid choice. It costs just $50 and has all of the same functions that the Echo has. It’s also easy to set-up. Just plug it in and follow the Wi-Fi pairing instructions through the Alexa app that’s on your phone. If you just want to give Alexa a spin, you don’t have to do anything. Just download the Amazon App, log in to your Amazon account, and you’ll see a microphone icon in the upper right corner. If you tap that icon you can start talking to Alexa. You can control your smart devices from here if they’re linked with the app. 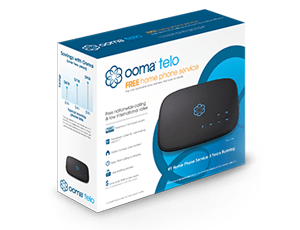 As for Ooma, you’ll want to get Ooma Telo. This is a centralized communication hub that’s powered by a broadband Internet connection. Ooma is a VoIP service but, you can purchase additional accessories like a handset,and Wi-Fi + Bluetooth adapter for a more enhanced experience. With the Ooma Mobile App you can use your cell when connected to Wi-Fi to avoid using your cell minutes. 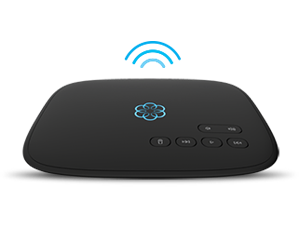 Ooma Telo costs $99.99 and nationwide calling is free. After you’ve got the right gear and services, you need to figure out where you’re going to set up Alexa and Ooma. You can use your Echo anywhere in your home as long as it’s within range of your home’s Wi-Fi signal and a power outlet. This means you can put it in your bedroom, living room, or bathroom. You may have to take into consideration the size of the room though. For small and medium homes between 1,000 to 2,500 square feet, one Echo or Dot will suffice. For larger rooms that are 2,500 square and have multiple floors, you may need more than one device. The same is true with Ooma Telo. The handset can be placed anywhere you like since it connects wirelessly. The remote phone jack, Ooma Linx, doesn’t require any wires, you just need an electrical outlet. The Wi-Fi + Bluetooth adapter also lets you place the Ooma Telo anywhere in your home without the need for a hardwired connection into your router. Neither Alexa or Ooma can control your smart home devices if you don’t own any smart home devices. Of course, that’s not much of a concern these days. There are all sorts of gadgets that integrate with Alexa and Ooma, such as Nest, Apple iOS, Android Gear, Philips Hue, LIFX, Belkin WeMo, Dropbox and Google. One recommendation is the Belkin WeMo Mini smart plug. It costs only $35, is easy to use, and it lets you turn anything you plug into it on and off just by asking Alexa. Of course, you need to set this up, but the companion will walk you through this, so it should only take a couple of minutes. When all of your devices are up and running, you’ll have to introduce them to Alexa. Generally, all you have to say is, “Alexa, discover new devices.” In about 10 seconds of scanning, Alexa should add the gadgets she finds into the Alexa app, and then you can start telling her to control them. Sometimes, you have to pull up the Alexa app and enable a special skill. Head to the app’s smart home section and select “Smart Home Skills.” From there you can then search for the skill you want to enable. For example, go into the Alexa app on your smartphone and search for Ooma in the “Skills” section, and then “Login with existing account” to connect Alexa and Ooma. Once Alexa and Ooma are synced, you can initiate phone calls by number or by contact name and check your voicemail through Ooma’s cloud platform. Don’t overwhelm yourself. Take baby steps and get yourself familiar with how Alexa and Ooma work. Both are evolving and are constantly adding new functions. As these new capabilities are introduced, you can make the proper adjustments for an optimally functioning smart home.